Need a caffeine fix after tackling Nemesis or Flying through Space on Galactica? The Coffee Lounge is the stop for you! The Coffee Lounge sits nestled between Nemesis and Galactica, and is the perfect stop for coffee addicts between thrills. Brewing Costa coffee, guests can enjoy their favourite drink while sitting either indoors and outdoors. 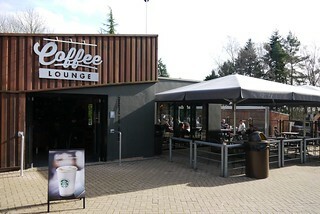 The Coffee Lounge opened in 2016 in the former Fresh Fish and Chips unit. In its first season it served Starbucks coffee but the following year it started serving Costa in line with the other specialist coffee bars in the resort.